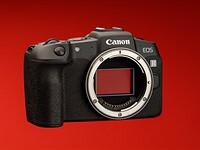 I don't care what the price is, the 24mp filterless sensor will be nice im sure, but it still has a mirror producing vibrations, it still has no built in IBIS, it cannot except adapters for any lens i want to use, and it still has a TINY VF. I want wifi without a "special" adapter. I want focus peaking in the LCD and VF, i want a full electronic shutter so i can shoot as many time lapses as i want. I want peaking during video recording, not to mention video that i can see through the VF. You can make a DSLR as good as you want, but the R part (reflex) will always make it worse in certain areas. Those areas i care about, hence i will not be buying the D3300 or any other DSLR.